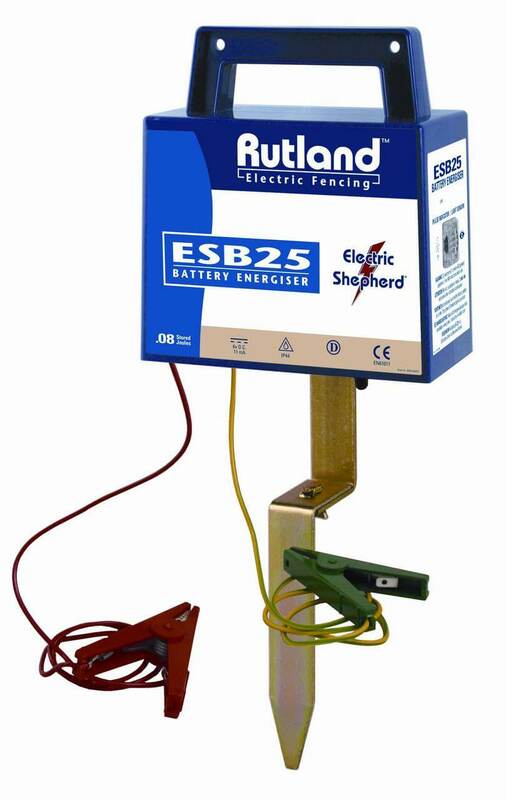 The ESB25 Battery energiser is a dry battery powered energiser suitable for paddocks and short lengths of electric fence runs where no contact with vegetation is likely. The energiser uses an internal 6 volt battery (battery is not included with energiser, can be purchased using code 010502). Battery Fence Energiser has a heavy duty case and handle, connection leads and stainless steel jawed crocodile clips with easy grip terminals. A pulse indicator light and sensor is present on the side of the device. The sensor will automatically put the energiser into an economy mode in hours of darkness which extends the period between re-charges by conserving battery life.